Chemicals- they are everywhere and in everything. Not all of them are bad, but a lot of them that are now in our food and in our daily lives happen to fall under the category "not good". After changing the way we ate when we did our first Paleo challenge I became a sponge when it came to information on harmful things we are putting in our bodies. Now- I have the occasional bag of flaming hot Cheetos (also know as the most toxic form of snack available to mankind), but on a daily basis I try my very best to keep me and my family away from all the nasty stuff out there. Let me tell you something- it is a full time job in itself to research and decide on the products we use! When it comes to things we actually put ON our skin I try my best to keep things edible because once it is on our skin it is absorbed into our bloodstream. Although I try my best we are far from perfect in our household BUT I have made some changes that are EASY and that are a good start. 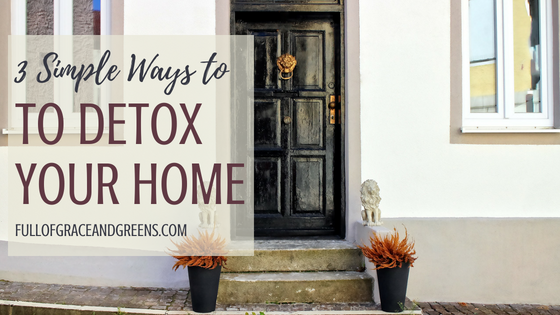 After you have detoxed what you are putting in mouth- try detoxing what you are using in your home! Add ingredients to a 32 ounce glass spray bottle and fill remaining bottle with water. Before I had this realization that I do not trust products and the chemicals they use to make them- I used Dove deodorant, Crest Toothpaste, whatever smelled the nicest body wash and soap, antibacterial hand soap, Herbal Essence Shampoo and whatever makeup I could find for cheap. After my epiphany I started to read the labels on EVERYTHING. I would be in the shower reading my shampoo label and reading my deodorant label while I was getting ready. I was shocked to see SO many chemical names that I had no idea what the hell they were. I assumed, maybe correctly, maybe not, that they were not good for me and I made the switch to different products. I have not had the time since becoming a Mom to learn organic chemistry and actually research all the scary looking ingredients I found on all of my labels and I can admit that I am not an expert- but in my gut it just did not feel right to continue using things I felt uneasy about when there were plenty of alternatives. In the middle of this transition my daughter began getting horrible rashes. We took her to her pediatrician and her first statement was, "Let me guess. You use Johnson and Johnson baby products on her". My husband and I were shocked to find out that the doctor not only forbade us from ever using Johnson and Johnson products again, but she told us that she gets several babies A DAY with rashes from their products. What the hell. A company that makes products FOR BABIES is using harsh chemicals that is harming their baby clients. My mind was made up. If I can't trust people to make safe products for babies why would I trust them to make any of our products. So I slowly switched everything over and have a few suggestions. We love Toms Deodorant and we used their toothpaste until we switched to doTERRA's On-guard toothpaste. Young Living also has a lot of options. Another company I LOVE is Phlur for perfume. I have never had a perfume I love the smell of, that does not give me a headache, until I found Phlur. After researching like a crazy person I finally found a company I really trust, so much so, I became a consultant for them so I could pay for my products through the sales. Beautycounter has the "Never List" which includes over 1,500 harmful chemicals they never use in their products. On top of that they are a B Corporation and take extensive steps in order to not harm the environment. For the rest of our personal care products- everything from baby oil to my shampoo- we use Beautycounter products. I like knowing that there is a company out there making it their mission to advocate for safer products. Not to mention I have loved the results since switching. If you ever want to check out what they have to offer here is their website: www.beautycounter.com/aubreyvick. Girls- stop running with your cell phones in your bras- if these things cause cancer like it has been shown- then this is a MAJOR no-no. Stop letting your phone rest on your body. I know this sounds weird but I read in an article the radiation emitted from a cell phone can go out 6 inches from the phone- so when I am off my phone I make sure it is at least 6 inches from my body. STOP reading or texting in bed. It is bad for your eyes and totally screws up with your sleep cycles. Limit usage in general- for everyone, especially your kids. Their bodies are more susceptible to this harmful radiation so don't let your kids have your phones. Just be more AWARE. Be mindful that your phone doesn't always have to be ON and it doesn't have to be attached to your body. Consciously make an effort to limit your exposure. All of these things I have mentioned are very easy ways to start limiting your exposure to toxins and harmful chemicals. I did not make these changes over night- I slowly started to switch out things in my home one at a time. This is not meant to overwhelm or scare you- instead it is meant to show you that you can be empowered to make healthier choices and it is something that can be done in a simple way. I am so thankful that one day I decided to stop leaving my health in the hands of unknown faces at unknown businesses trying to sell the most product. I love that my products are mostly made with my own two hands or by others who I trust. 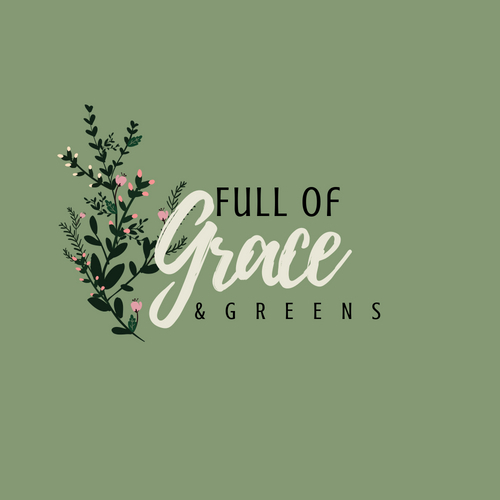 I am grateful for my epiphany when I realized everything surrounding me in my home was full of unknown ingredients- and although it initially scared the crap out of me- I was able to slowly make positive changes for the betterment of my family. It is never too late to make a change and trust me once you make that first household cleaner or switch out your old deodorant it becomes addicting. I actually get excited thinking about the next thing I am going to switch out and I find it really enjoyable learning how to make something new or researching some cool new products online. Take your first step today and join me in a healthy home revolution!